PrideFest Milwaukee is an annual summer festival celebrating local LGBT community and culture. It has roots in the Pride celebrations held in New York and elsewhere in June 1970 to mark the first anniversary of the Stonewall Riots. Milwaukee’s earliest Pride event was held in January 1971 and included a small rally at the Milwaukee County War Memorial Center and a march up Wisconsin Avenue. Pride events were repeated in 1972 and 1973. Throughout the 1970s and 1980s, Milwaukeeans frequently celebrated Pride in Chicago, although there were occasional events in Milwaukee. The Milwaukee Lesbian/Gay Pride Committee (MLGPC) organized the first annual Pride celebration in September 1988. The one-day picnic and rally was supplemented by other events spread over two weeks. The June 1989 festival included the first annual Pride Parade. These early demonstrations and gatherings were as much a political statement as a community celebration. For many years, PrideFest was held in various Milwaukee County parks, including Mitchell (1988), Cathedral Square (1989-1990), Juneau (1991-1993), and Veterans (1994-1995). Since 1996, it has been held at the Henry Maier Festival Park, making it “the world’s largest festival on permanent grounds, owned and operated entirely by volunteers.” The festival features a diverse range of performers and entertainment including music, comedy, drag shows, inter-faith services, and fireworks. 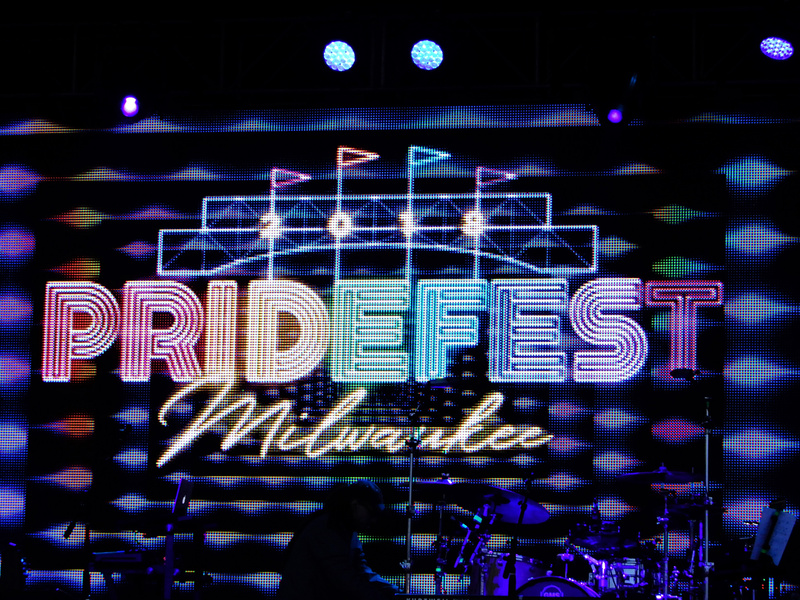 Since 1988, PrideFest has grown from a one-day march and rally to a three-day weekend festival with a permanent home on Milwaukee’s lakefront attended by tens of thousands of people. ^ “Gay Pride Week,” Take Heed!, , The Gay Peoples Union Digital Collection, University of Wisconsin-Madison Libraries, accessed December 28, 2015; “Gay Pride,” Kaleidoscope, p. 2, December 10-18, 1970, Kaleidoscope Digital Collection, UWM Libraries Digital Collections & Initiatives, accessed December 27, 2015; “Gay Events This Week,” Kaleidoscope, p. 19, January 1-8, 1971, Kaleidoscope Digital Collection, Kaleidoscope Digital Collection, UWM Libraries Digital Collections & Initiatives, accessed December 27, 2015. ^ PrideFest Milwaukee, “History,” accessed December 28, 2015.